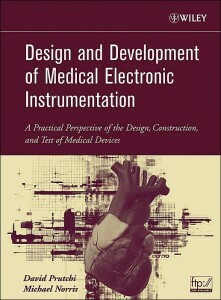 This book provides a uniquely practical approach that enables readers to learn the design of medical electronic devices through the analysis of specific projects. Walking you through the building blocks of implementing medical devices, Design and Development of Medical Electronic Instrumentation addresses the practical aspects of amplifying, processing, simulating, and evoking biopotentials. It provides real-world projects that range from simple biopotential amplifiers all the way to a computer-controlled defibrillator. Anyone with a basic understanding of circuit design and electrical engineering mathematics and experience in electronic prototype construction will find these projects accessible. With access to an ftp site that contains the software and information needed to successfully complete the projects outlined, this book will help one quickly master the essentials of medical device design and build sophisticated instrumentation for a broad range of purposes. Intending their work as a supplement to the existing literature on medical device design, Prutchi and Norris (the vice president of product development and a senior electronics engineer, respectively, for Impulse Dynamics, a Netherlands-based company “focused on the development of electrical therapies for the treatment of heart failure, obesity and diabetes”) provide tested examples of medical device projects, along with pertinent background, in order to demonstrate the practical aspects of medical device design and testing. They describe the development of biopotential amplifiers, filtering of biopotential signals, safety considerations in the design of prototypes, international regulations regarding electromagnetic compatibility, physiological “smart” sensors, artificial signal sources, principles and clinical applications of electrical stimulation of excitable tissues, cardiac pacing and defibrillation, and an engineer’s perspective on bringing a device to market. The project descriptions assume an understanding of circuit design, electronic prototype construction, and basic physiology. “Only a very few, new comprehensive general books on bioelectronics and medical instrumentation have been published in the past few years. 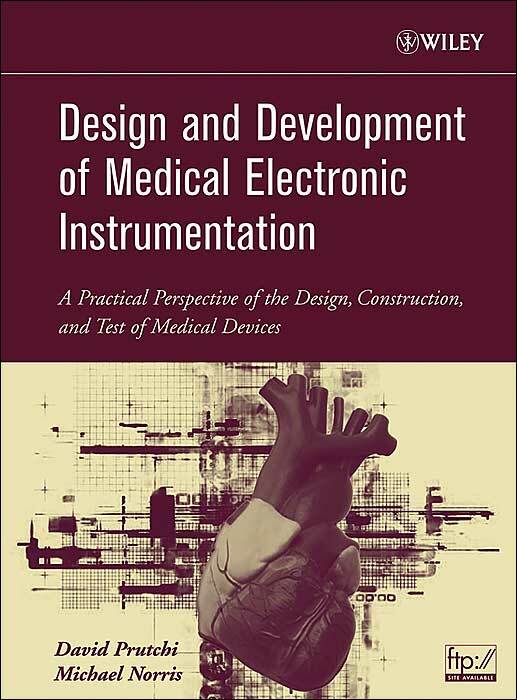 David Prutchi and Michael Norris’ Design and Development of Medical Electronic Instrumentation is a new addition to the literature that features a successful confluence of practical and contemporary perspectives on design, construction, testing, and development of medical devices. Going well beyond the usual books on electronics related to biomedical device design and testing, this reasonably large book formulates an integrated approach to the subject. All of the chapters, since written only by two authors, maintain a consistent style resulting in seamless coverage of various techniques and technologies, ranging from a simple biopotential amplifier all the way up to an intelligent defibrillator system. The book’s readability is enhanced by the vignettes interspersed throughout the text, which connect the authors’ scholarly observations and practical experiences in numerous R&D projects and clinical trials. All major aspects of electronic instrumentation design are covered, although there are some differences in emphasis and detail, as might be expected. Chapters provide a primer on signal amplifiers, enlighten us on the international regulations concerning device design, and review data sensing, acquisition, conversion, and analysis. 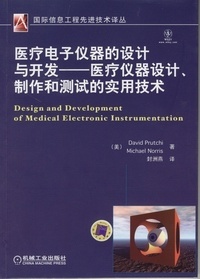 The book succeeds in providing a fine overview of principles, clinical applications, and design of excitable tissue stimulators and design of cardiac pacemakers and defibrillators, with space devoted for refreshing the readers with the electrophysiology of the heart, its electroconductive defects, and arrhythmias. The authors also provide the readers with an access to an ftp site that contains the software and information needed to successfully complete the projects outlined in the book. Plus a special epilogue on how to bring a medical device to market is useful, but not rigorous and extensive to what I personally expected, but will assist the readers to grasp the fundamentals of the regulatory system supervising the medical device industry. Throughout, the textbook is well written with accuracy and amply contains high-quality circuit illustrations. The book is user-friendly, accurate, and relatively straightforward, and will be very useful to anyone with a basic understanding of circuit theory, and with a little experience in electrical and electronic prototype development. Click here to read about the book’s contents. The book is also available in Chinese (July 2011) from China Machine Press.